After a big break I was finally able to get back to losing some art. The past few months I've been traveling around the United States on a schedule too tight to be able to leave paintings along the way. I've been missing my "letting go" therapy sessions but today, despite the cold, I was happy to get back to it! 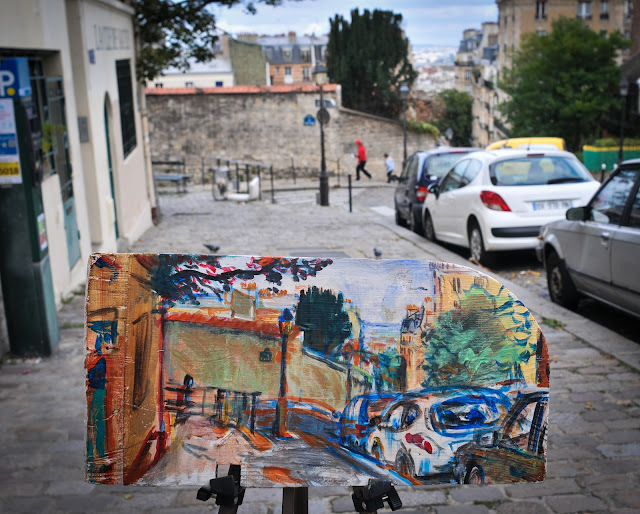 I left this painting in the picturesque Montmartre neighborhood. One of the first areas I had the pleasure of living in when I first came to Paris. 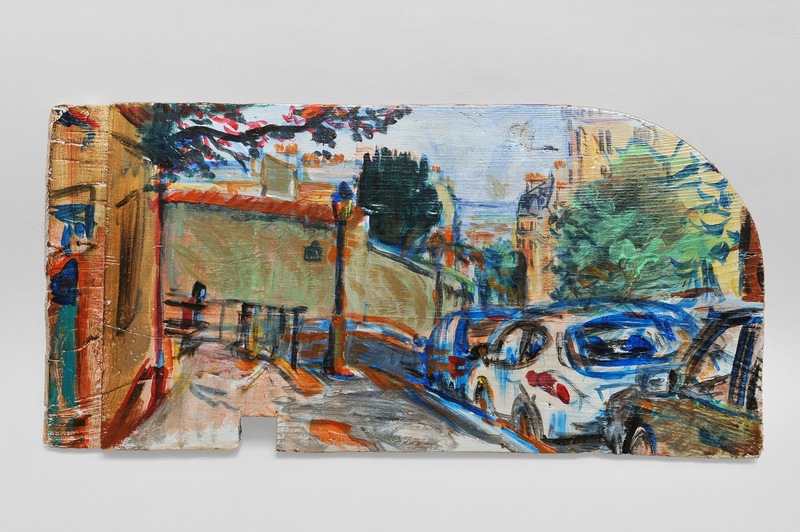 It was great to have a chance to re-visit these streets and lose some art here, I hope you enjoy finding it! 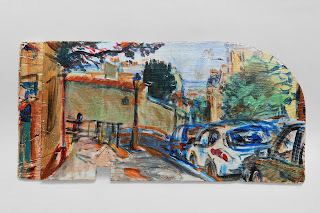 This painting, acrylic on found wooden shelf, 49cm x 24cm, was left on the rue des Saules, in Paris, France on Feb 16, 2016, at 12:30 pm.